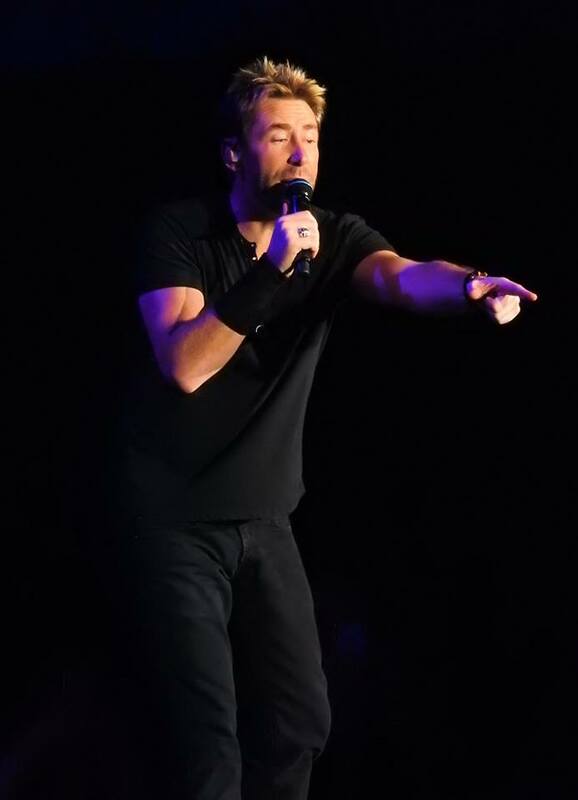 Few bands have experienced the vitriol that has attached itself to Nickelback over the years, to the extent that the phenomenon was even the subject of academic theses. 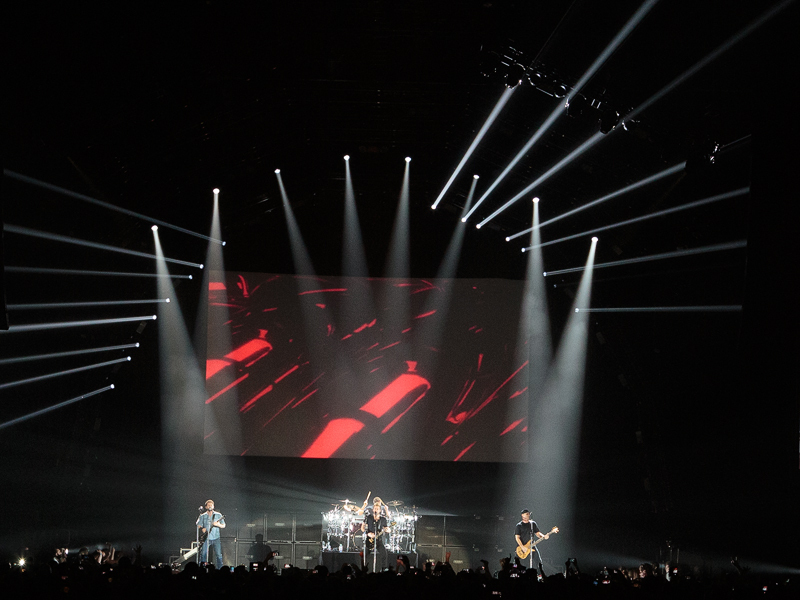 Yet the fact that, 15 years after they first stormed the charts worldwide, they can tour arenas, with this being one of two such shows in London, suggests that there are thousands who do not care for critical acclaim and still give the band their support. 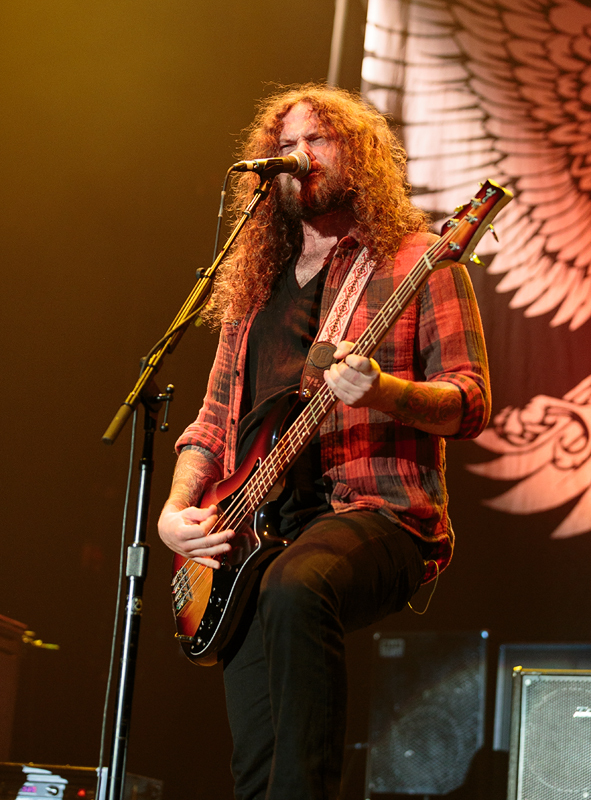 The past couple of years though have been challenging ones for the band, first with a disastrously received more pop-oriented change of style on the ‘No Fixed Address’ album, then with frontman Chad Kroeger having major vocal cord surgery leading to last year’s tour dates cancelled. They therefore arrived on this UK tour with something to prove, even to their legion of fans. Incidentally these were among the most diverse I have ever seen at a rock show: the queue for the gents was packed with 40- and 50-something balding metalheads, yet the screams that came from the front of the standing arena when they hit the stage were those of a younger and more female demographic. With an eye on their more rock-oriented audience, fellow Canucks Monster Truck were along for the ride with a well received 45 minute support slot. 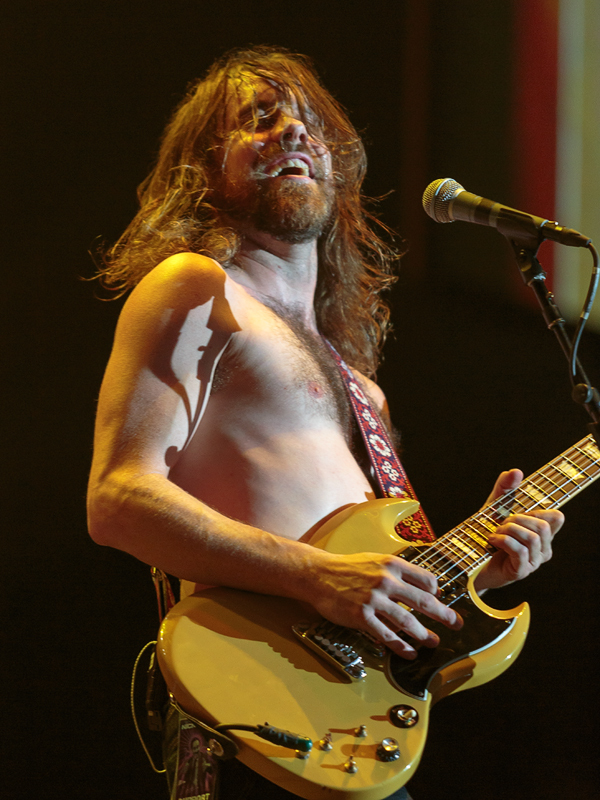 The focal point for me was the antics of bare chested guitarist Jeremy Widerman, more wild man than Jeremy, with some loud and dirty riffs like a supercharged Tony Iommi. Surprisingly they also boasted a keyboard player in Brandon Bliss though his sound was generally well back in the mix. Among a series of stoner oriented songs, the likes of ‘Old Train’ saw singer and bassist Jon Harvey whipping up the crowd with chants of ‘who-oah’, while ‘Don’t Tell Me How to Live’ had one of the more melodic choruses. Variety was provided mid set by the southern rock sounds of ‘For The People’ which saw Nickelback guitarist Ryan Peake join them on stage, and ‘For The Sun’ was a slow burning bluesier number. It was easy to see even on a support slot why a growing buzz is building around these hairy retro rockers. Nickelback came on stage in rather plain, low-key fashion, but as if to demonstrate that they had not sold out completely to the pop world, opened with a hard-hitting trio in ‘Edge Of A Revolution’ from their last album, ‘Something In Your Mouth’, with Chad Kroeger joking only they could get away with such a lyric, and ‘Animals’, while on ‘Too Bad’ he persuaded the crowd in the floor standing area to pogo up and down, which was the sole time I wished I was down there in the pit as opposed to some excellent seats to the side of the stage. ‘Far Away’ was the first sign of the more balladic side of the band that has emerged over the years, while the evocative ‘Photograph’ was delivered by Chad from a riser perched between the video screen and Daniel Adair’s drumkit, before ‘Someday’ was one of the highlights of the set, even if it seemed to be an amalgam of several other similar-sounding Nickelback songs. 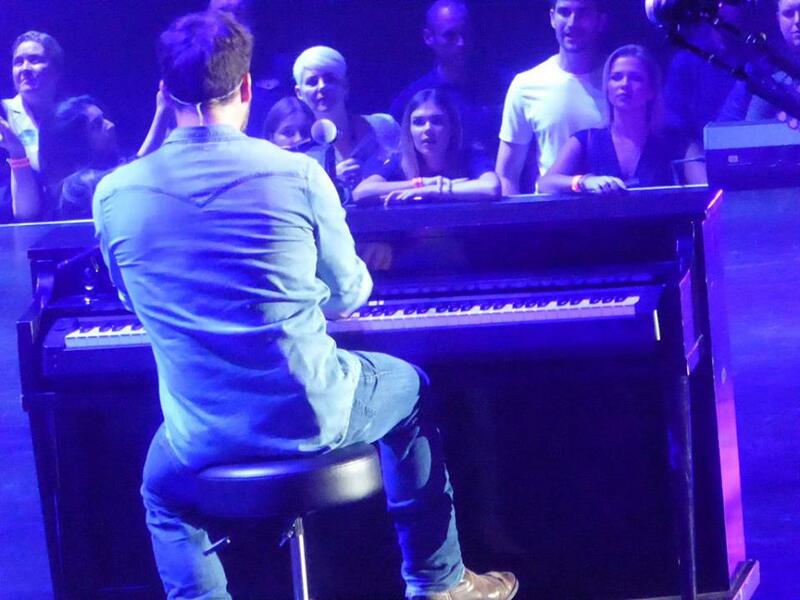 In contrast a piano was brought on for Ryan Peake to play during ‘Lullaby’, where Chad’s nephew and bassist Mike’s teenage son provided additional rhythm guitar as well as being an easy target for their banter, while other mid tempo songs like ‘If Today Was Your Last Day’ and ‘When We Stand Together’ had the crowd swaying or joining in as Chad orchestrated a clap along. As for his post-surgery voice, it sounded in reasonable trim to me, albeit a tad thinner and less powerful. However it was noticeable to me that Ryan was taking the load off him, singing a few lead as well as backing lines, as if to play the main man back in gently. A cover of Don Henley’s ‘Dirty Laundry’ was surprisingly effective with Chad delivering virtually his only guitar solo of any length all night. While the band are tight, musical indulgence is kept to a minimum with little jamming or extending songs, and guitar solos kept short. However the set was padded out by increasingly interminable on stage banter, not to mention the baiting of roadie Bradley to try and bribe him into doing dances. While it is endearing on one level to see such an unforced chemistry between a band that has stuck together for so long in the wake of critical ridicule, it ultimately became a tedious interruption to the music, and reminded me why it had taken me another eight years since my last show to see them again. When we finally got some music, they covered as wide a diversity of musical bases that I can remember since Queen’s heyday. Some numbers that proved they can continue to do metal with the most brutal of them if the mood takes them, with ‘Figured You Out’ the most impressive. 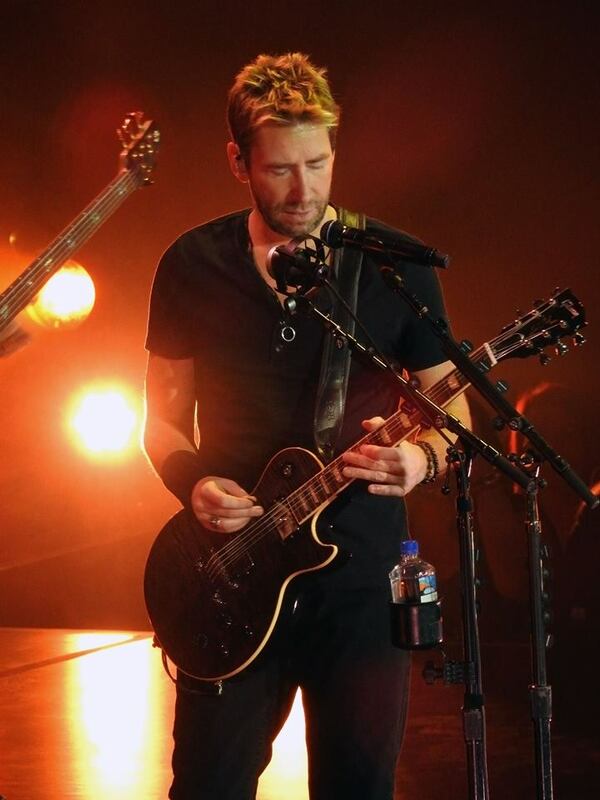 In contrast Chad and Ryan broke out acoustic guitars for an obscure song in ‘Mistake’, while ‘What Are You Waiting For’ had modern pop traits, though it was less irritating in the live setting. Their worldwide hit and sofa commercial ‘Rockstar’ was downgraded to a different treatment, mainly acoustic with two fans plucked from the crowd to sing along, while ‘Gonna Be Somebody’ was anthemic, before the inevitable closer in the song that catapulted them to fame and is played in hundreds of bars worldwide every night in ‘How You Remind Me’, though it was one where the after effects of Chad’s surgery seemed to tell on his voice and I was expecting the crowd on the floor to be going crazier than they were. With their best known songs played and a curfew looming on a Monday night, I was expecting a short encore but it began in surprising fashion with the admirable Ryan singing lead from the raised stage on a scarily similar Foo Fighters cover ‘Everlong’, then more prolonged banter from Chad about being ready to party on, even if they got a fine for overrunning. They even slipped in a relatively obscure song before ending in suitably aggressive fashion with ‘Burn It To The Ground’, which over the years has become a favourite anthem and, seeing the reaction on the floor, I couldn’t resist forcing myself to my feet for the first time in the night to join in. 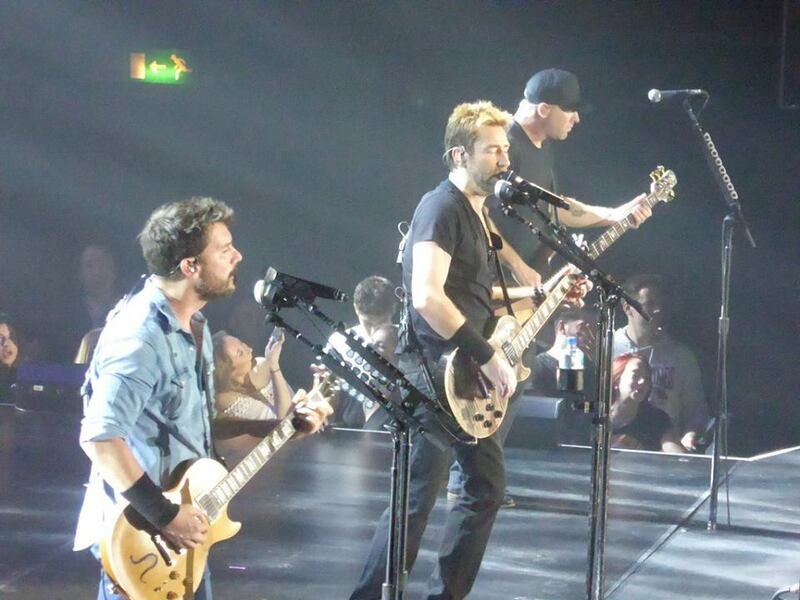 Despite my concerns over the padding, Nickelback delivered a fun 2 hour plus set. They may never get critical respect but they are one of the few of the millennial generation of bands with the songs and the presence to carry off a big arena show, and the fans show no signs of tiring of the winning formula.